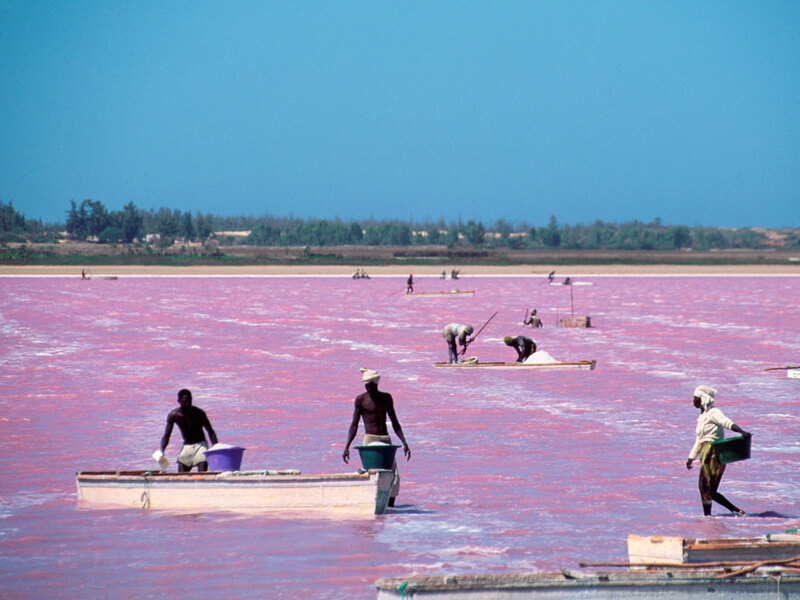 When I first saw pictures of Lac Rose, located in Senegal, I just knew I discovered the origins of Lisa Frank. Beautiful pink waters kissed by rainbows, happy dolphins frolicking in the waves…this place looked heavenly. Just as I was adding it to my bucket list, I decided to blog about it first. To my surprise I found out that Lac Rose is not the only pink lake in the world. Pink lakes are caused by the presence of Dunaliella salina algae and is known for its high salt content, up to 40% in some areas. There are several pink lakes, some closer than you think! You may just have one near you. Perhaps the world’s most renowned pink lake, Lac Rose (also known as Lake Retba) is located just north of the Cape Vert peninsula area, about 18 miles from the capital of Dakar. 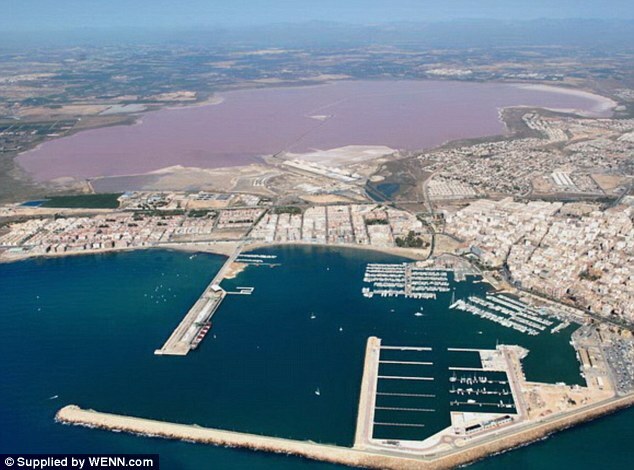 This lake is one of the few pink lakes that has aquatic life, in addition to selling salts the lake sustains a vibrant fishing economy. The color is particularly visible during the dry season (from November to June) and is less visible during the rainy season (July to October). Located off the coast of Middle Island, Australia sits the gem that is Lake Hillier. Unlike Lac Rose, the color of this lake does not vary with the seasons. These pictures really blew me away. I mean, a rainbow is literally growing from the water. A rainbow. However, this pristine gem is untouched for a reason. There are very few ways to reach Lake Hillier. Helicopter is one of the most common methods of travel. Cruises are also an option for passengers wanting to visit the isolated lake, and surrounding forest area. Australia has another pink lake that isn’t as neon, its not quite pink all year round but its still beautiful and much more easily accessible. Pink Lake near Esperance is set against a backdrop of some of Australia’s most stunning coastal scenery, seven kilometres from the town of Esperance. Torrevieja is surrounded by two large and beautiful natural salt water lakes which form the “Salinas de Torrevieja” and are an official Spanish nature reserve. These lakes attract a wide variety of bird life. The entire area around Torrevieja is famous for it’s salt production. Huge salt lakes surround parts of the road down from Alicante airport to Torrevieja. 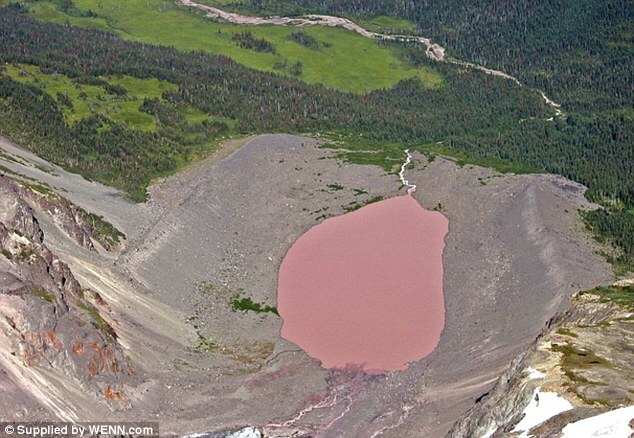 This pink lake located in British Columbia, Canada, is quite unusual, unknown and probably unique. The water of this lake is not salty at all, and does not contain algae, but it is still pink. In the picture you can see the pink water that runs into the lake. Water color comes from the unique composition of the rocks in this area (rock flour from the glacier). You have to see it with your own eyes to decide if this lake is actually dusty rose, or easter lavendar. The color changes from a rich pink to a beautiful light purple depending on where & when you are looking at the water. Once again. Lisa. Frank. Lives. Here! 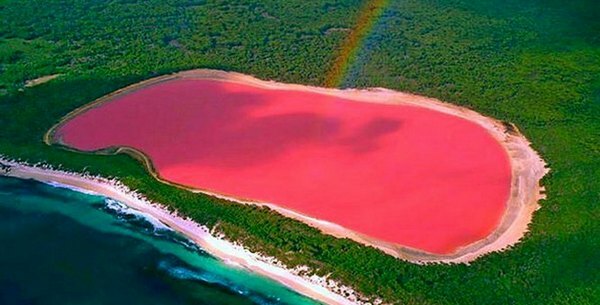 There are a few other pink lakes located in Bolivia, Azerbaijan, and throughout Australia but these really brought out the unicorn lover within me. Which pink lake do you like the most? Lets plan a trip!! wow, would love to see one of these pink lakes someday!